Open enrollment starts October 1, 2018. 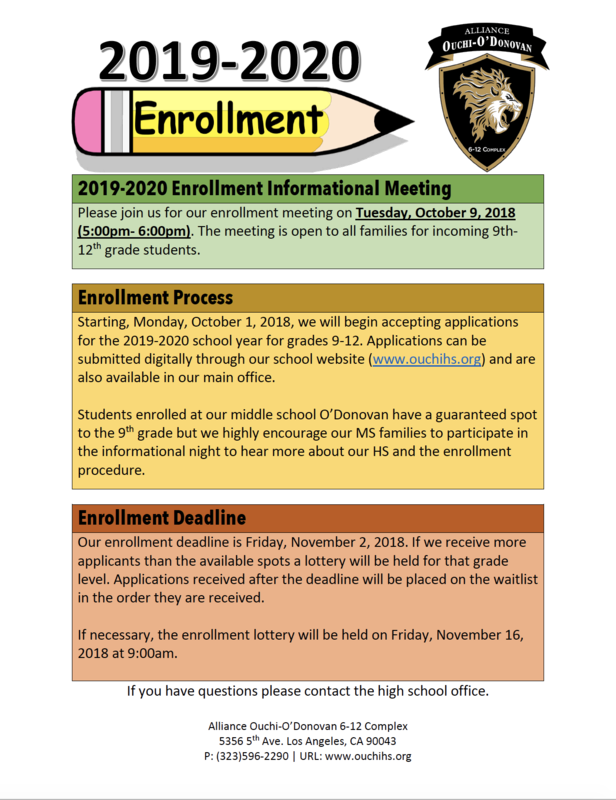 Students new to our complex who plan to enroll for the 2019-20 school year must submit an enrollment application. The enrollment application can be found in our main office or you can apply online through SchoolMint. Paper applications must be submitted to our main office. We are accepting online applications. Please visit the Alliance College-Ready Public Schools Website (www.laaalliance.org/enroll )to apply! *It is highly recommended that all online applicants call our office to verify receipt of student enrollment application. If we receive more applications than we have spots available before the application deadline (November 2nd, 2018) we will host a lottery. 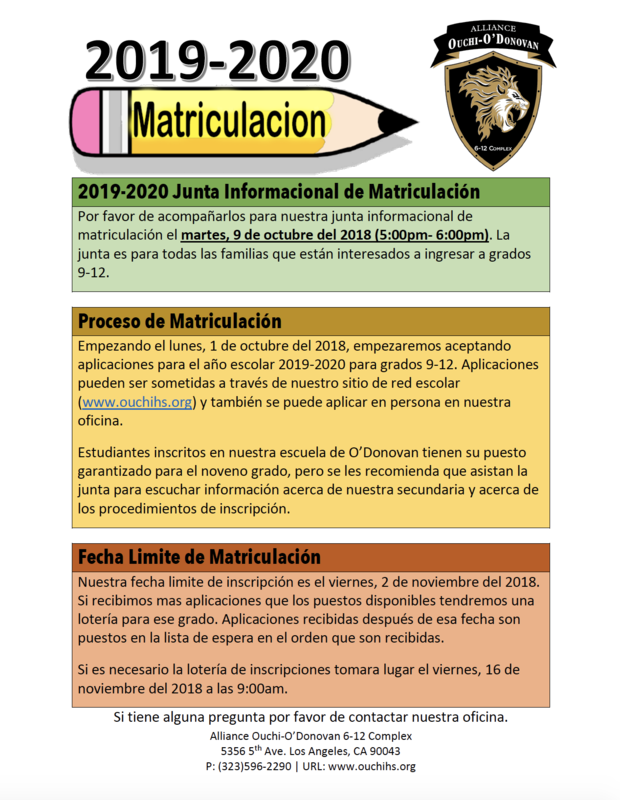 All applications submitted within the October 1, 2018- November 2, 2018 time frame will be entered in an enrollment lottery. If necessary the lottery will occur on November 16, 2018 (9:00am-10:00am), we will inform applicants if a lottery will be necessary. The lottery does not affect students already enrolled at the complex. We will hold an informational meeting this year for all families. The informational meeting will be held on October 9th from (5:00pm-6:00pm) for all families who are interested in having their child enroll at our complex. If you are interested in enrolling for the current school year, you can still submit an enrollment application. If a spot becomes available we will go based on our wait-list. If you have any questions, please feel free to contact our office at (323)596-2290.